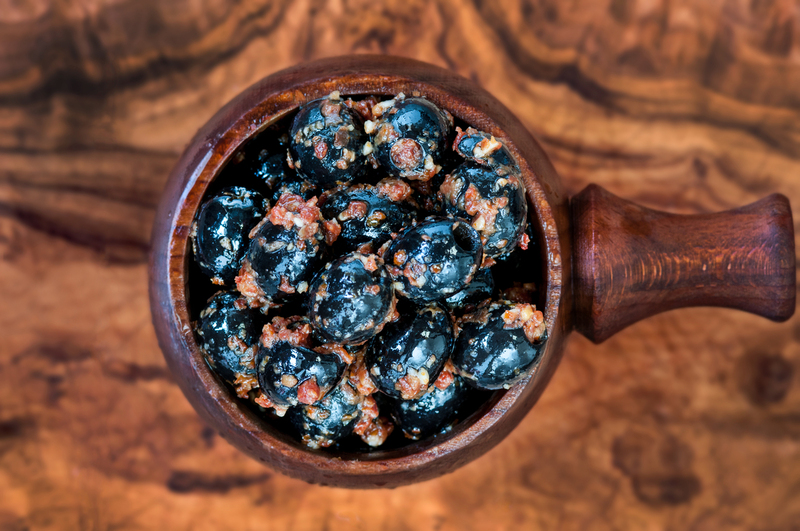 These small black Manzanilla olives from Spain are marinated in our homemade sun dried tomato and garlic marinade. This adds a certain sweetness to these olives which makes them a popular option for children (they also have no stone in which always makes life easier). A nice olive for an antipasti board or for adding to a simple tomato sauce for pasta or pizza. Garlic (1%), Rapeseed Oil. (Warning: Some olives may contain stones).